The locals simply call it Gaia but its full name is Vila Nova de Gaia and it’s located in the Vila Nova de Gaia Municipality in the Porto district in northern Portuga. More to the point, this city can be found just south of Porto. The thing that separates the both cities is the river Douro. Known mostly as the place where the famous “lodges” where Port wine is stored, Gaia is also an old settlement, dating back to Roman times, when it was known as Cale. That means that it has many historical vestiges perfect for visiting tourists. When planning a trip to Vila Nova de Gaia, keep in mind that the city has a privileged position at the mouth of the Douro River, near the city of Porto which is serviced by its own international airport. The airport Francisco de Sa Carneiro Airport is just 18km from the city center. Depending on the traffic, you can be in your hotel room in under 1 hour from touching down. If you don’t mind driving cross-Europe or if you live close-by, driving into Vila Nova de Gaia might also be a nice alternative. Again, being close to the country’s capital ensures a good infrastructure, regardless of the direction you’re coming from. The A44 motorway runs directly through town and will be a great help in navigating through the countryside. For a city that wonb the Best European Destination in 2012, you can bet there are plenty of things to see and do in Vila Nova de Gaia. Keep in mind that this destination is first and foremost a wine lover’s paradise being the place where the famous Porto wine makers keep their cellars. However, there are some architectural attractions you might not want to miss while on a trip here. Attractions like the Miradouro da Serra do Pillar, which offers great views of the city of Porto, especially at night, when the entire cityscape is illuminated, the Zoo Santo Inacio which is close to the city and houses a wide range of animal and bird species. Others will prefer a ride on the Teleferico de Gaia, a cable car ride that offers scenic views of the city, great for taking photos. Wine lovers will definitely want to visit the Croft Porto Wine Lodges, where you can learn more about the famous local wine and also have a tasting. If that hasn’t quenched your thirst for Porto wine, try the Porto Sandeman wine museum. Yacht charter and sailing enthusiasts will surely want to sail up the Douro river. 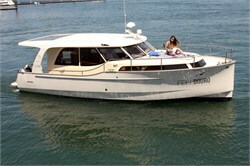 For that we recommend a river boat tour with one of our local yacht charter operators. Upriver from Vila Nova there are several other settlements worth sightseeing, apart from the idyllic landscape which is in itself worth the trip: Guimarães, Braga and Viana do Castelo are the main stops of the river tours. Members of visiting yacht charter crews can also relish the fact that Gaia has the highest number of Blue Flag beaches from all the Portuguese municipalities. More precisely, there are 17 beaches for the 17km of coastline along the sea.